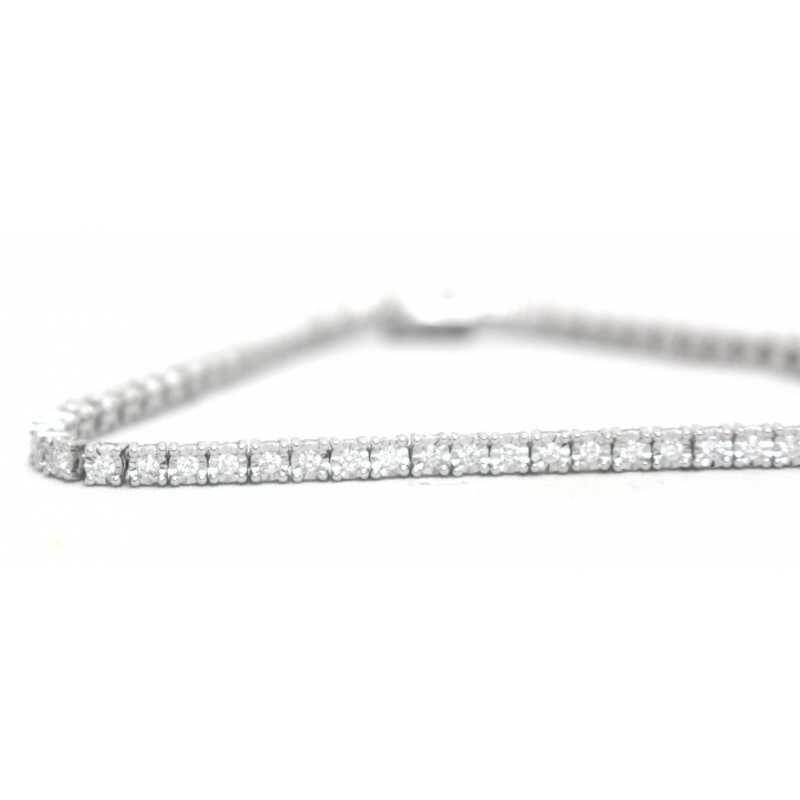 This sunning bracelet features a line of round brilliant cut diamonds, each set in an 18ct white gold claw mount. Tongue push in clasp with two figure of eight safety catches for added security. 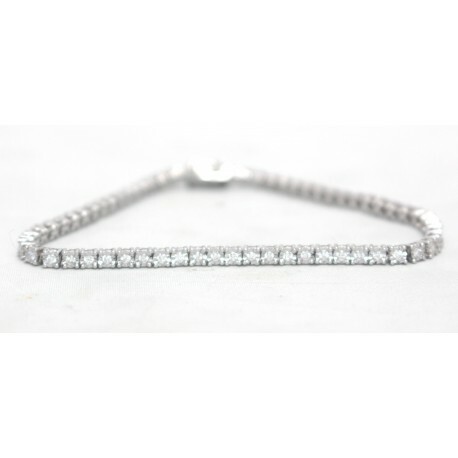 The bracelet measures 7 inches in length and consists of 0.96ct diamond weight in total.